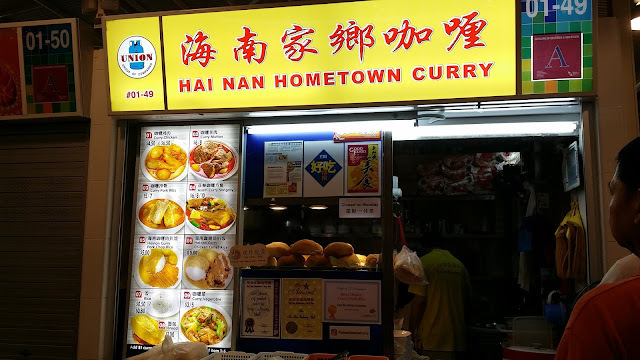 Allow me to introduce one of my favourite stalls for curry chicken, Hai Nan Hometown Curry. It was previously located at 505 Jurong West St. 52 and have shifted to Ghim Moh Market & Food Centre. I didn't know they shifted until this week. The stall is operated by a couple and they sell value-for-money curry dishes. Other than curry chicken, I have also tried their curry pork ribs, curry vegetables and curry fishhead (replaced by asam stingray) but I still prefer their curry chicken. 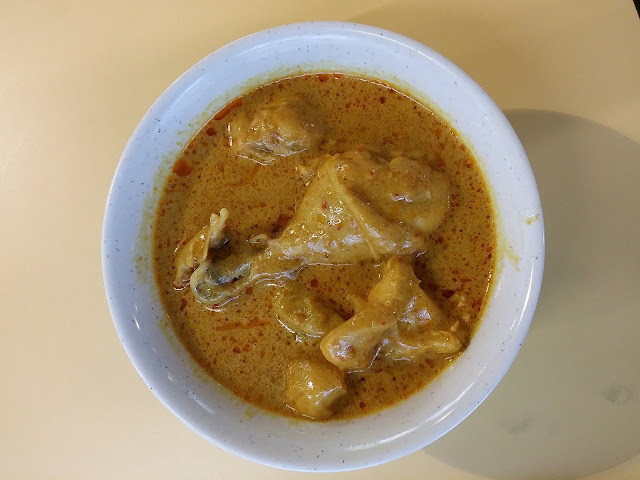 Each bowl of $4.50 consists of 1 wing, 1 drumstick, 2 potatoes and a generous bowl of curry for you to dip your bread or eat with white rice. The amount of curry is definitely enough for you to coat every rice grain. My first mouth of it was so shiok. The curry is creamy and not as oily as the one at Queensway Shopping Centre. I like that the chicken is tender and cooked just right. If you can't take very spicy food, this curry is still right for you. Will I go back? Of course I will and wouldn't be long till I patronize again. Do note that the stall is closed on Monday.